Have you ever seen a picture of an Indian getting scalped by a settler or soldier? We know it happened a lot. Why don’t we ever see that image or read about it? It’s a 19th Century metaphor that won’t go away. His career grinding to a halt, I guess former House Speaker Gingrich is trying to stay in the spotlight by being controversial. But what a bizarre image to conjure up. It denigrates Native Americans as savage. It makes the investigators asking tough questions seem savage. It makes high-powered politicians under investigation seem like helpless, brutalized victims. 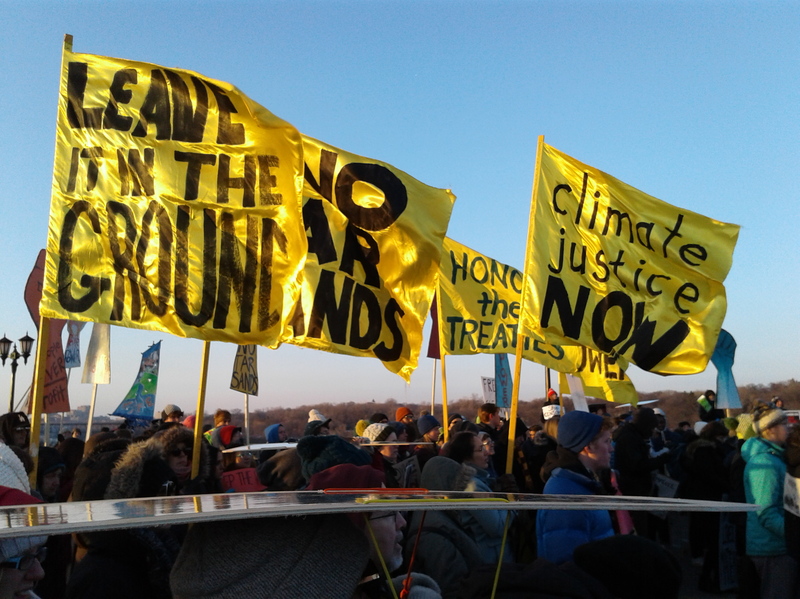 A recent court ruling on the Dakota Access Pipeline (DAPL) is stunning for what is reveals about how the U.S. Army Corps of Engineers conducted its so called “environmental analysis” of the project. The June 14 decision by U.S. District Court Judge James Boasberg will require the Corps to go back and do the analysis correctly. 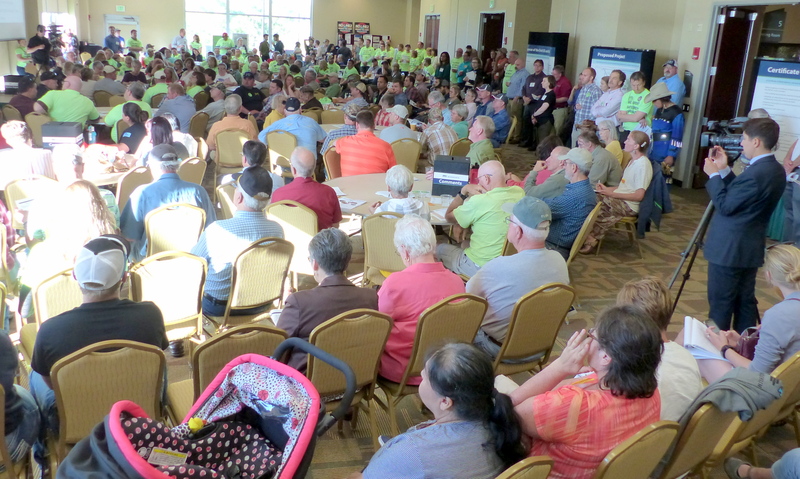 He left open the possibility that the court could shut down the pipeline until these issues are resolved. That decision will come at a later hearing. The court ruling says the Corps analysis “did not adequately consider the impacts of an oil spill on fishing rights, hunting rights, or environmental justice.” Read more deeply into the decision, and it raises questions about whether the Corps is simply oblivious to the concept of environment justice or whether its staff willfully slanted the review to get the outcome it wanted. The problem with the Corps’ environmental justice analysis boils down to this: It drew such a tiny circle defining the project’s impact area that it excluded the Standing Rock Nation from consideration. 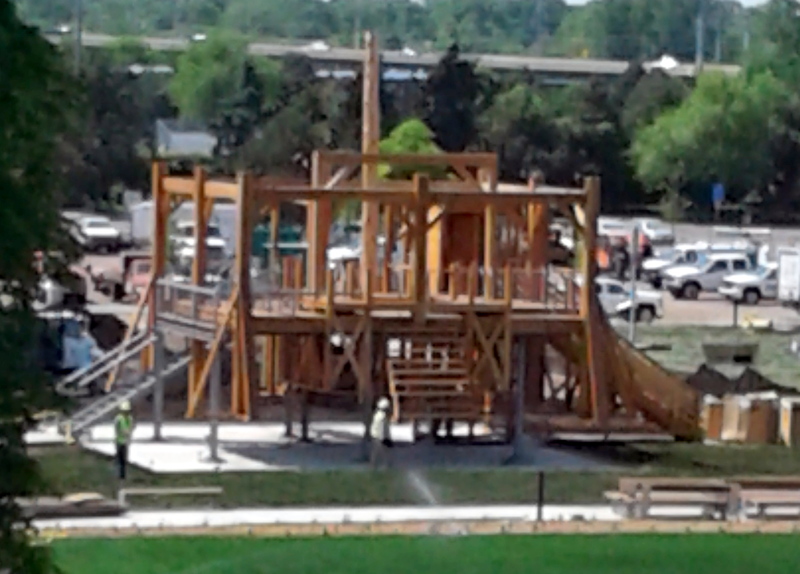 Karen Hering is a consulting literary minister for Unity Church Unitarian in St. Paul and writes a blog called: “Writing to Wake the Soul.” She wrote a powerful reflection on the removal of “Scaffold” from the Walker Sculpture Garden. It is republished here by permission. A crowd gathered for a Dakota healing ceremony. 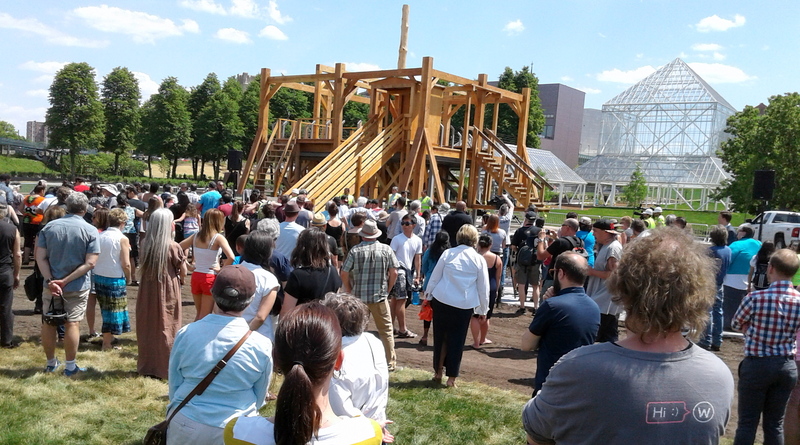 On June 2, 2017, over 300 people gathered in downtown Minneapolis on the grounds of the Walker Art Museum’s redesigned sculpture garden, not quite finished and not yet opened, to witness the ceremonial deconstruction of an installation titled “Scaffold.” Designed by artist Sam Durant, “Scaffold” was modeled after a gallows used to hang 38 Dakota men in Mankato, Minnesota in 1862, the largest public execution in the history of the U.S.. A week before the planned reopening of the sculpture garden, the Walker engaged Dakota elders in a conversation about “Scaffold” and its possible impact on local audiences. Protests immediately called for its removal, and within one week, the Walker had postponed the garden’s reopening, participated in an independently mediated conversation with Dakota elders and the artist, and agreed to dismantle the installation in a public ceremony planned and led by Dakota elders. Other posts on-line offer more information about the sculpture and its deconstruction. This reflection is based on my experience of the June 2 ceremony, with the hope of sharing the sorrow, the power and the call of that day’s events. The quotes are all from Sheldon Wolfchild’s opening words, delivered before the sacred ceremony began (which we were asked not to record out of respect). The wooden structure required four days to dismantle; the “Scaffold’s” understructure of steel and cement was then broken down by the Walker and also removed. This is a sacred process…. Let us remember what this historical truth has brought us.